Police have closed a section of a busy motorway after a man died when he fell from a bridge. Police closed a section of the M62 in West Yorkshire this morning. The Post's sister title the Yorkshire Evening Post reported how the eastbound M62 remained fully-closed at junction 22 near Scammonden Bridge in Kirklees. 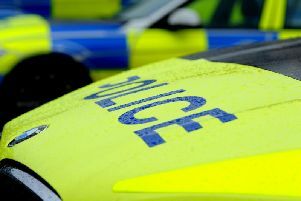 Motorists alerted emergency services just after 10.30am today that a man had fallen from Scammonden Bridge. At 2.30pm a Highways England spokesman tweeted: "All lanes are now open junction 22 to junction 23 on the eastbound M62 following the earlier incident.